Great style to this kit and the jacket on/off option is nice! Absolutely adorable, All components are nice and clean with crisp, sharp details. Test fitting of the parts and there to no issues everything a good snug fit. E2046 have yet again delivered another high quality figure. Excellent case. rarity to have. will be creating my own decals for eyes. 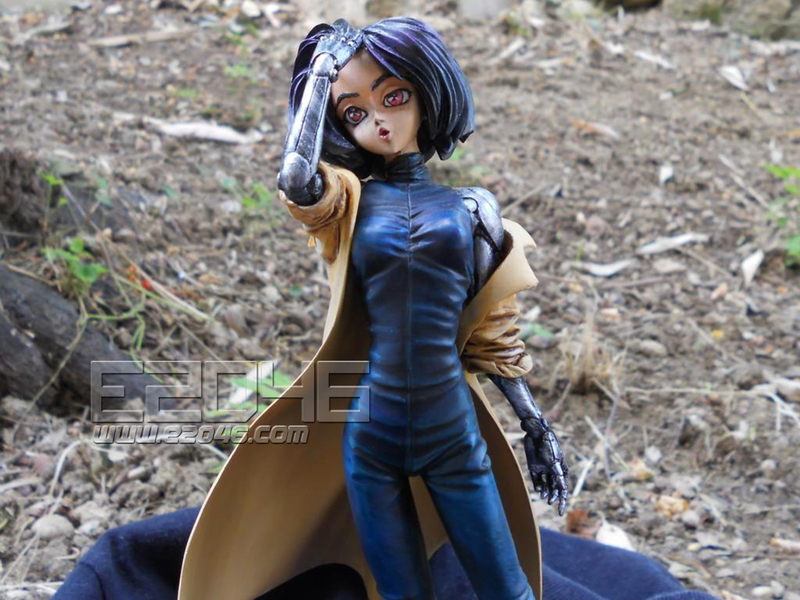 I love Alita and that GK is exactly what I expected. Very nice. I am not quite sure if she should have those recessed lines amng her body`s sides, but even if it is to be corrected, she`s great. Two ways of arranging her arms (with or without a coat). Excelent. 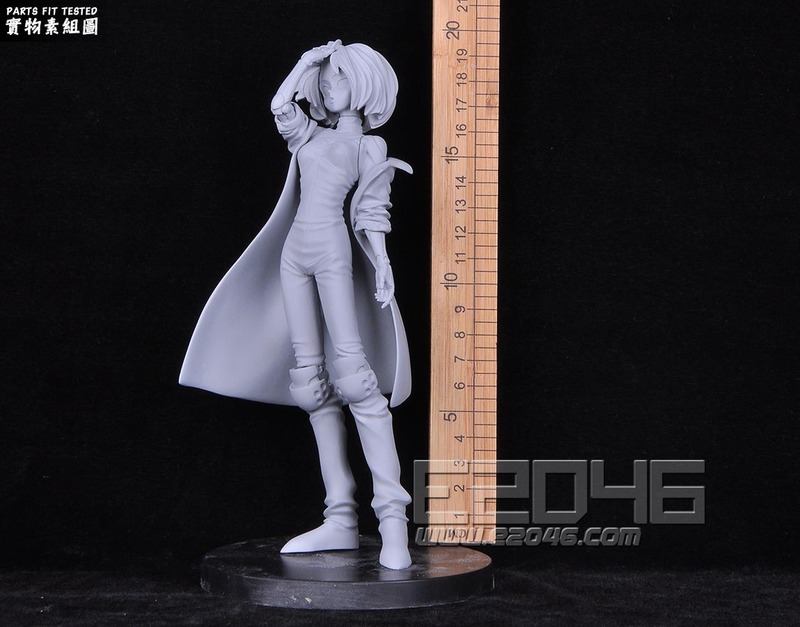 Good cast, I could not see any oversanding (at least to a blind eye), resin quality is superb as always. no missing pieces. 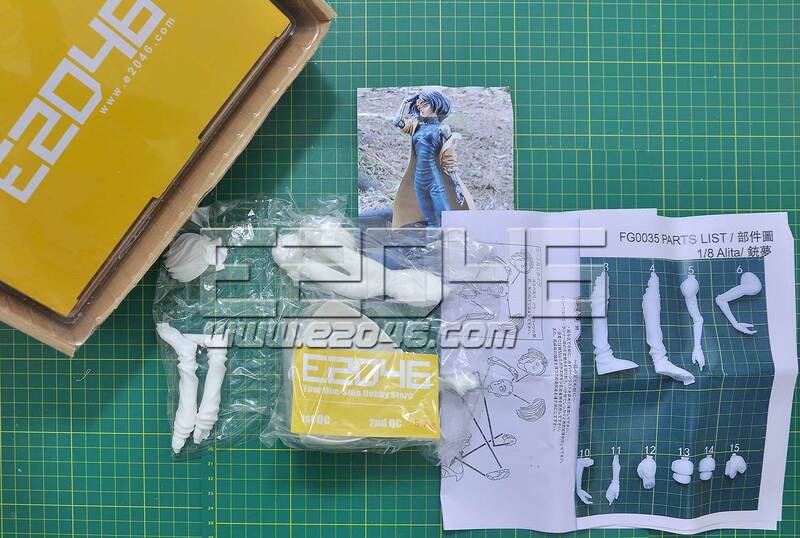 Come with 2 sets of arms, nice to let you personalize the kit, but it is quite tricky if you decide to go with the coat because it's just one piece and it will be problematic to get the torso in it and fit. I plan to use magnets to interchange pose and outfit so let's see how that goes. Cast is as good as you would expect, only her hair will need some putty to cover the connection. Excellent model, looking forward to painting it. This kit for being a 1/8 scale has some good detail, and no fitting issues whatsoever. This kit was a seamless test fit. Well worth the purchase. Got her in great shape, little to no flash, overall very satisfied. Vey good product for this "iconic" figure of cyberpunk. No defaults. Kit arrived last night and the sculpt looks good. The arms are a tad thinner than I had thought but should pose a problem. Seam lines are minimal and the flashing should clear up nicely. On the assembly instructions page there is some writing about something to do with assembling the legs. Unfortunately I cannot read Japanese and have no idea what exactly its talking about but that is a minor issue. I hope to get started on this kit soon. This is a very great quality !!! Pas de problème. 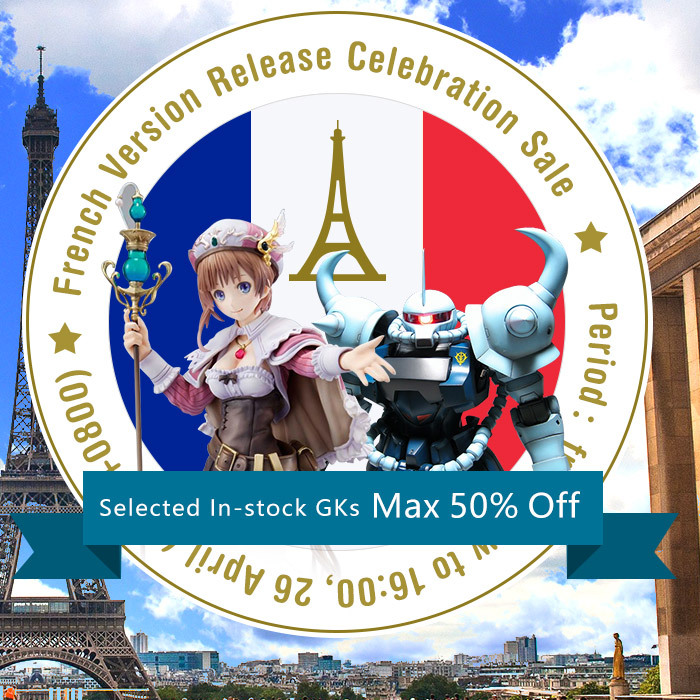 C’était ce que j'attendais. Kit muito simples. Encaixe do sobretudo bem ruim e muitas rebarbas que prejudicam um pouco. I think back of her knees need some details to be added. Oh my god this is a really nice cast i have not seen a cast of this model so clean since the original came out i have been after this kit for a very long time and after buying 3 or 4 REALLY bad recasts i finally have something decent to work with.......Thank you!!!!!!!!!!!!! Nice and sharp casting as always! I like the new way of packing: The box in the box! Nothing gets damaged this way during shipping! Thank you very much. Wonderful kit, pretty easy to assemble and paint. really nice one. it's a great detail to have the option of two different arms to have it with coat or not. This kit is very nice, the casting is good and the details not bad. Another well molded kit, with little or no flash or blemishes. 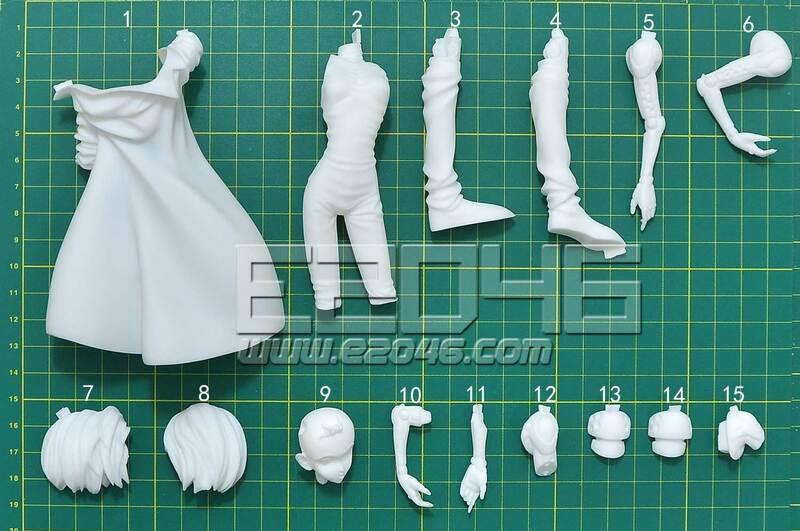 Extra parts to do figure with or without coat are a nice touch, however the coat is molded so well it would be a shame not to use it. Only down side is the material needed to detail behind the knee is not included. All in all a great kit, and a better excuse to re-read the manga! I don't see problem in this kit, all parts present. Huge fan of the Battle Angel series and love this kit. Its small and cute but with excellent detail. 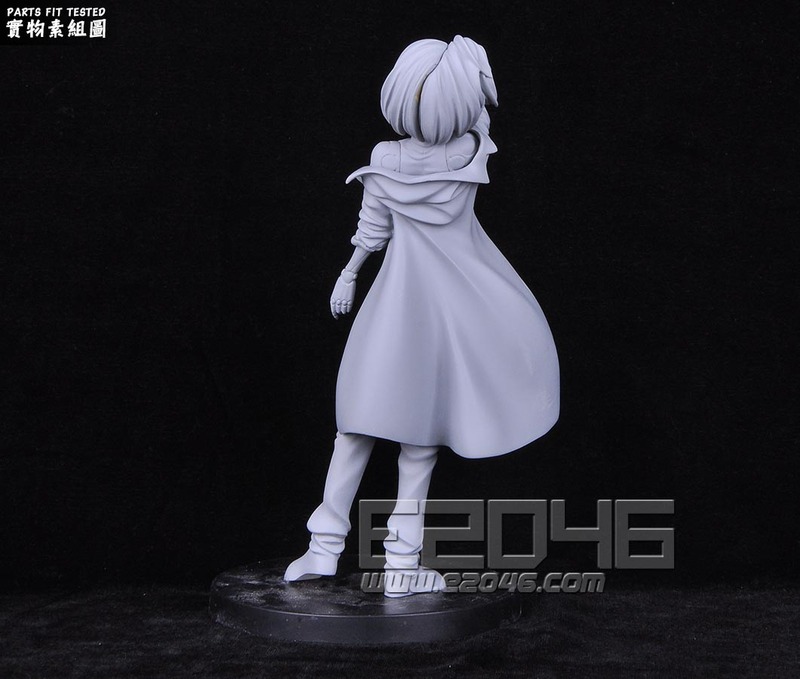 I didn't realize when ordering that Alita can be assembled with or without the trench coat and includes shoulder and arm sections for both. May have to order another one to assemble one in each configuration. The dry fit is great, there are no casting flaws I can find and no pin holes at all. 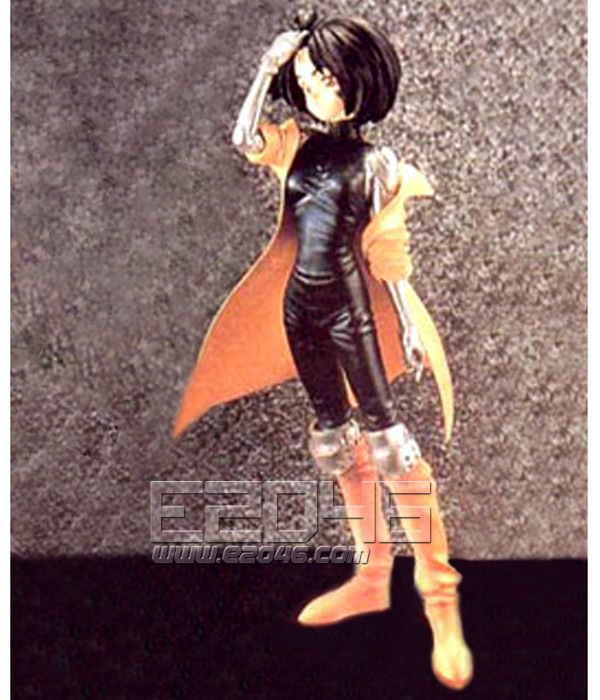 A great little kit for any Battle Angel fan. Thanks again E2046! A little kit, it arrived broken because post rudeness transport. The cast is good, it need a little preparation and patience. The size is small with many details on armors parts. 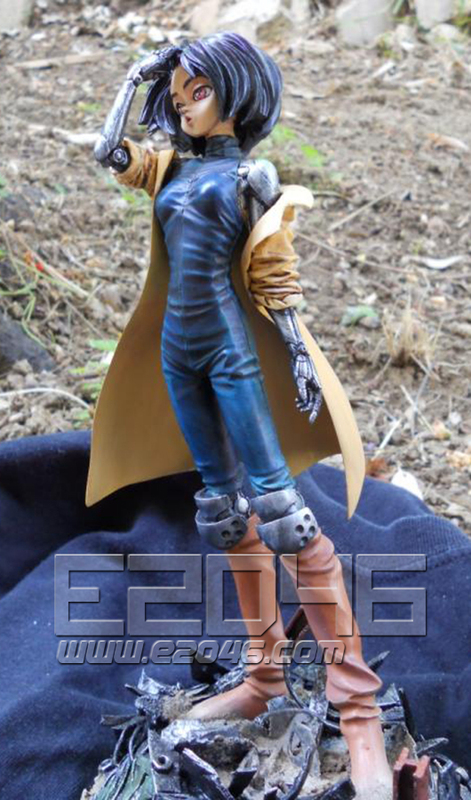 It's a funny little kit for all Alita fans. Awesome figure, a must have for all GUNNM fans! The delivery was AOK, no parts missing and all of them in perfect condition. Despite my 2-years delay on leaving a feedback, the site is fantastic! Nice package and fast shipping... Although the seams are a bit rough, it's not a perfect copy, but I'm happy with it. I just unpacked her and she looks great. No breaks, just perfection in a box. This will be a fun build. Always wanted this kit and e2046 has granted my wish, thanks e2046 for getting these great kits for us.